It’s impossible to see obstructions, pedestrians and other dangers behind a bus or coach when reversing. Installing a full colour monitor directly on to the dashboard or using an articulated arm and bracket means that you can then use a camera mounted on the back of a vehicle for both CCTV recording and as a reversing camera. 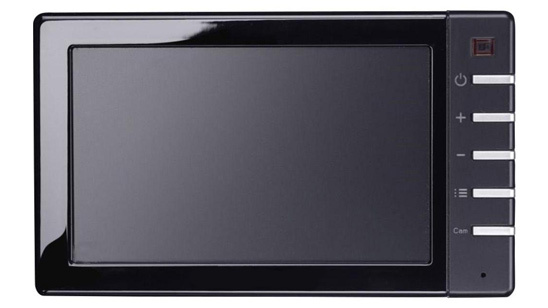 This flat 5″ monitor is ideal for mounting to your vehicle’s dashboard for use when reversing. It can be installed so that it is activated only when reverse gear is selected and is therefore not distracting to the vehicle driver at other times. The advanced digital LCD technology provides high contrast images during the day and at night. 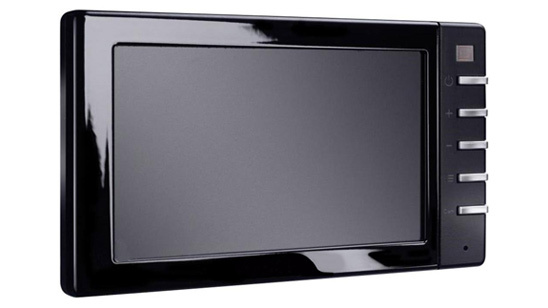 With the same high specifications as the smaller 5″ model, this flat 7″ monitor is ideal for mounting to your vehicle’s dashboard for use when reversing and provides a larger view. It can be installed so that it is activated only when reverse gear is selected and is therefore not distracting to the vehicle driver at other times. The advanced digital LCD technology provides high contrast images during the day and at night.